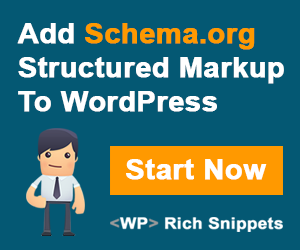 So I was testing out a new WordPress plugin called Amazomatic which is a plugin which automatically connects to Amazon API using your own affiliate account so that you can create automatic blog posts based on Amazon products. I wanted to start a few micro sites that were dedicated to very specific product niches to see if they would be able to run on automatic and generate a small amount of revenue each with minimal effort. This was very easy to do and in all honesty each site took me about 30 minutes to setup and get fully automated and working. Completed with a custom Facebook fanpage for each site and a Dlvr.it feed which auto posts the new articles to the fanpage as well. Remote A Day – This site I designed to feature and focus on all things related to remote control devices including drones, RC Cars, RC Boats and just about anything that is controlled with a remote. PS4 Headsets – This site was specifically to showcase PlayStation 4 headsets and all headsets that were advertised as being compatible with the PlayStation 4. Only Gaming PC – This was another smaller site that just focused on pre-built gaming PC’s sold on Amazon and must meet the minimum criteria of having an Nvidia or AMD dedicated graphics card and fall under the “gaming PC” category which rules out anything with just integrated graphics in my opinion. This includes laptops or desktops that are considered gaming PC’s. These sites are all auto-blogs with some manual posts thrown in when it suits me, depending on if they grow I will make more or less use of them over time as this is just an experiment that only cost me the plugin and the domain names, since my WPX Hosting plan allows for 15 websites I had plenty of room. I also leveraged WPX Hosting for configuring free SSL certificates to make all my sites HTTPS which is known to rank better for SEO as well as provide more authority for a site. What I really like so far about the plugin is how flexible it is, the creator did a great job giving you plenty of options. It makes the purchase options for the product very easy and gives you buttons which auto link with your affiliate ID front and center. I will do a much more detailed review of the plugin itself in a later post, this was merely to showcase what I am up to. I did work with the plugin developer who already added several features within my first 48 hours of purchasing the plugin so he is great to work with. If you want to experiment with running an Amazon Auto Blog, the Amazomatic plugin is already shaping up to be a great choice and you can pick it up from Code Canyon for a very reasonable price.